Physical activity for prevention: how much, how often, how long? Physical activity. You can’t beat it for preserving bone, maintaining weight and boosting endorphins and mood. Lord knows that there are reams and reams of data demonstrating its value. But confusion remains with regard to how much, how often and how long, i.e. what do you need to do to prevent physical and cognitive decline during menopause and thereafter? A new systematic review of the literature appearing online in Menopause journal attempts to answer this very question. In it, the authors searched the literature published between the years 2009 and 2014 specifically as it related to physical activity and women’s physical and mental health and ultimately settled on 21 studies. The findings? In postmenopause, body composition and higher physical activity levels are associated with better physical functioning however, because frailty may actually begin in midlife, developing or maintaing a health lifestyle during the middle years is imperative. The higher the level of physical activity, the more significant the decrease in the odds of dying from any cause. Importantly, this remained true even after the researchers took into account factors like age, education, ethnicity, depression and comorbidities. Conversely, women who were more sedentary had a 98% higher risk of dying than their physically active peers! Exercises that improved cardiorespiratory capacity had the greatest impact on physical health. Cardiorespiratory capacity refers to the ability of the heart and lungs to deliver oxygen and remove CO2 to/from the skeletal muscles during physical activity. Here, higher is better. The question that remains unanswered is whether or not the prescription for cardiorespiratory boosting exercise change as we grown older? A key difficulty with activity is adherence. Consistently, women report that they abandon exercise due to time constraints, or personal, cultural or environmental factors. All of the studies found that physical activity was associated with lower rates of cognitive decline but the magnitude of this effect was inconsistent. Also unclear was the impact of physical activity on health-related quality of life. 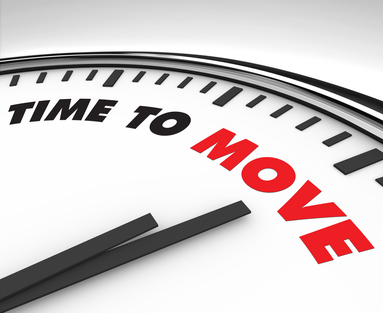 The bottom line is that you need to MOVE, often, intensely and frequently. Do exercises that boost your cardiorespiratory capacity, e.g. jogging, running, swimming, cycling, kettlebells or interval training. And lose the excuses; make the time now or you’ll suffer later. It truly IS an either/or! Even if you move everyday at the gym, move! Findings from yet another study, this time in roughly 93,000 women, some as young as age 50, demonstrate that sitting on one’s behind for hours at a time significantly shortens lifespan. In fact, when researchers looked at the amount of time spent sitting and resting over a 12 year period, they found that idle hands (and bodies) did their own bidding and not the devil’s, leading to as much as a 12% greater risk for death from all causes, even after accounting for how mobile (and physically able) the women were, current chronic disease status, demographic factors and overall fitness. This last factor is important because it implies that even women who exercise the most can be at risk for disease and death if they have large amounts of idleness/sedentary time in addition to their physical activity! What do the researchers consider ‘sedentary behavior?’ The highest risk appeared to occur in women who spent more than 11 hours a day on their behinds compared with their peers who spent four hours or less. Not only was this group of women at risk for death from all causes, but they also had a 13% greater odds for dying from any kind of heart disease, 27% for dying from a buildup of plaque in their arteries and 21% from cancer. The lead researcher, Dr. Rebecca Sequin, says that excess sedentary time makes it harder to regain strength and function, noting that women start to lose muscle mass as young as age 35. This change is accelerated during menopause. The best way to counteract these declines is to engage in regular physical activity that also includes weight bearing exercise. However, again, everyday movement on top of working out is critical. During a usual day (and night), how many hours do you spend sitting at any given time (e.g. sitting at work, sitting at a table eating, driving or riding in a car or public transportation, sitting watching TV or being social)? During a usual day and night, how many hours do you spend lying down with your feet up at any given time or sleeping? Now, add up how much time you spend sitting and lying down and subtract the amount that you are sleeping. Ideally, you are sedentary less than 8 hours a day, excluding sleep. The key to boosting activity time is to get up and move around frequently, both inside and outside the house. Take breaks during computer time and sitting at your desk; some folks I know are also trying the treadmill desks. If you are watching TV, get up during commercial breaks (that is, if you are not DVR’ing) and move. And, if you are relying on the time spent at the gym to counteract the time sitting on your butts, change your mindset. I know that I sure have to. Use it or lose it applies to all of us! 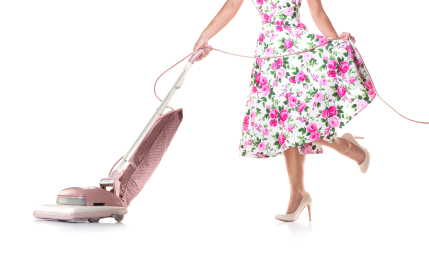 Before you include housework in your weekly tally toward physical activity, you may want to pay close attention: UK researchers say that claiming housework as exercise may be a mistake. (No wonder, FitBit barely registers when I vacuum or dust!). And, while some of you might openly rejoice about the lack of a connection between health and housework (true confession: there is a part of me that is just tickled by this news), it’s important to recognize that in an effort to encourage sedentary individuals to incorporate some form of physical activity into their lives, there may have been a bit of overselling going on. Let’s face it; housekeeping is not going to propel you toward fitness competition medals. A bit of background is in order. I’m not claiming that health departments have been engaging in deception in order to get people off their butts; promotion of domestic physical activity is linked, at least partially, to studies that provide evidence for a link between things like home maintenance and gardening, and a reduction in risk for death from multiple activities. And let’s face it: some activity is always better than none. However, findings from a survey of roughly 4,600 Irish adults demonstrate that not only do less than half meet current recommendations to engage in at least 150 minutes moderate to intense physical activity per week, but, among the 42% of individuals who do, domestic physical activity (i.e. housework, do it yourself projects, gardening, or other) accounts for anywhere from 11% to 73% of this activity. Among women in particular who exclude domestic activity, only 20% would meet current recommendations. I say that it’s time to rebel against housework, take the streets and head straight to the gym! Forget the dusting; try a walk around the block instead! Vacuuming? No way; try a Zumba class! Seriously though, health campaigns that are promoting domestic physical activity as curing that which ails the sedentary individual are doing us all a huge disfavour. 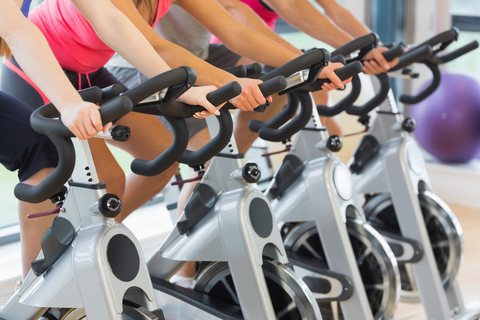 Exercise often and exercise to burn calories, up your heart rate and break a sweat. Unless you are doing the IroningWoman Marathon, when it comes to housework and health, all bets are off! Household work..the key to better sleep? Have I got your attention yet?! It’s no surprise that hot flashes and night sweats rank among the most important factors when it comes to poor sleep. However. less clear are the factors that may provide a buffer against the flashes. And aside from the usual suspects e.g., crankiness and moodiness or the inability to focus, poor sleep has been linked to heart disease and obesity, among other less desirable health conditions. I’ve written about the benefits of physical activity and amelioration of menopausal symptoms many times on Flashfree. And, I imagine I will continue to do so. But what about sleep? There is evidence that physical activity can help bolster both sleep quality and sleep quantity. Yet, few people have examined the domino effect, i.e. fewer hot flashes ← physical activity → better sleep. 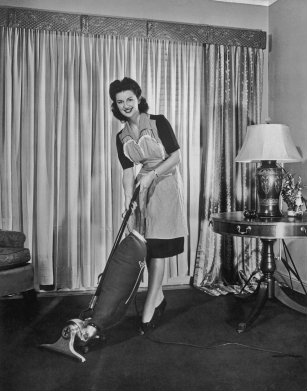 Moreover, even fewer have considered the benefits of non-leisure physical activity, like housework. Now, before you accuse me of setting women back 60 or 70 years, let’s consider exactly what I am suggesting. According to research, women participate in less leisure time physical activity but greater levels of household physical activity than their male peers. This is apparently truer among ethnicities other than Caucasian (especially African American), who also tend to have greater levels of obesity and poorer sleep characteristics. So, it would follow that by increasing both, women might fare better in the sleep department, right? In fact, when researchers took a small group of women participating in the larger SWAN study and evaluated their self-reported and scientifically measured sleep patterns for four nights, that is exactly what they found. The group, which was comprised of both White and African-American women, reported having flashes or sweats, were between the ages of 54 and 63, had an intact uterus and were not on medications that could affect hormone levels or symptoms. And while the number of women was quite small (only 52), they fit into the full spectrum of BMI targets (from normal to obese to overweight). In addition to sleep patterns, they also shared details of their most common daily physical activity (how often, how long and how intense) and household/caregiving responsibilities (time spent caregiving, preparing/cleaning up after meals, and routine chores as well the intensity of these activities). Not surprisingly, women who had greater levels of leisure physical activity were 8 times more likely to report that their sleep quality was better than their less active peers. And, women who reported greater household, non-leisure physical activity awakened fewer times during the night, but only if their BMI levels were lower. Yet, the benefits were mostly seen more among White women. Even more troubling is that the researchers say that they could not determine the ‘why’ of these findings, even though they conducted several different types of analyses and comparisons. The good news is that for some women, engaging in greater levels of household physical activity and leisure physical may reduce sleep disturbances, especially if they are not overweight. For others, especially my African-American sisters, the mystery remains. African-American women often report more severe hot flashes than their White peers. And while experts have pointed fingers towards rates of obesity or distinctions in estrogen levels or smoking history, the reasons remain unclear. Meanwhile, while I am not necessarily suggesting that you increase your household responsibilities, I do believe that even with the limitations of this study, more physical activity may beget better sleep and possibly fewer or less severe hot flashes. Finally? Can we please find some effective and viable strategies for women of colour? Although the menopause experience may vary by ethnicity, as women, we need to find solutions that work for most of us, not some of us.